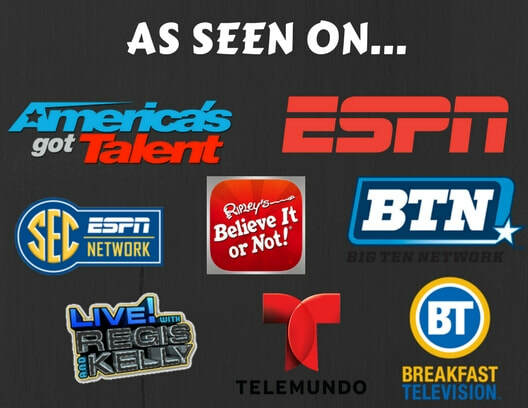 As seen on America's Got Talent, Ripley's Believe it or Not, Regis and Kelly, ESPN, and Ballparks all across the country! ​The first question people always ask me is: "How did you discover you had this talent?" I discovered I could balance things on my face when I was 11 years old. I was bored one day at baseball practice, and I balanced a baseball bat on my nose. After that, I realized If I can lift it, I can balance it! Q1: What's the coolest thing you have ever balanced? Q2: Have you ever dropped anything? A: Nope! I've been doing this since I was 11 years old, and I have never dropped a single object. Ever. Q3: Doesn't that hurt your face? A: Yes! Yes it does. Thanks for noticing! Q4: What's the biggest thing you have ever balanced? A: Ten foot ladder, which is pictured above. Q5: Have you ever broken your nose or hurt yourself doing this? A: I have not! I broke my nose once playing flag football in college, but I have never injured myself balancing! Q3: Is there anything you can't balance?? ​A: Unfortunately, there is a weight limit to what I can balance. However, If I can lift it, I can balance it! 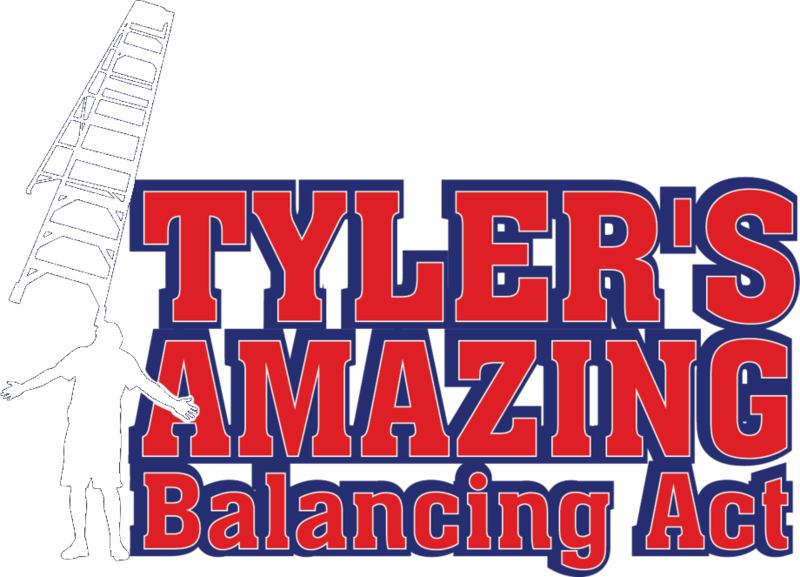 © Tylers Amazing Balancing Act COPYRIGHT 2018. ALL RIGHTS RESERVED.